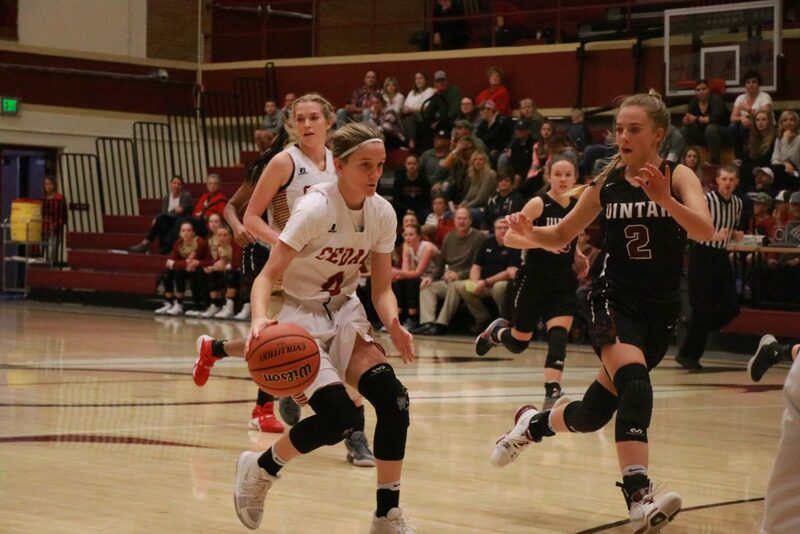 CEDAR CITY — It was a good weekend for local high school girls basketball teams at the ninth annual Steve Hodson Cancer Classic tournament in Cedar City: The five Region 9 varsity teams that participated went 10-5 overall, with all five winning at least one game. Region 9 teams went 4-1 in Saturday’s action. 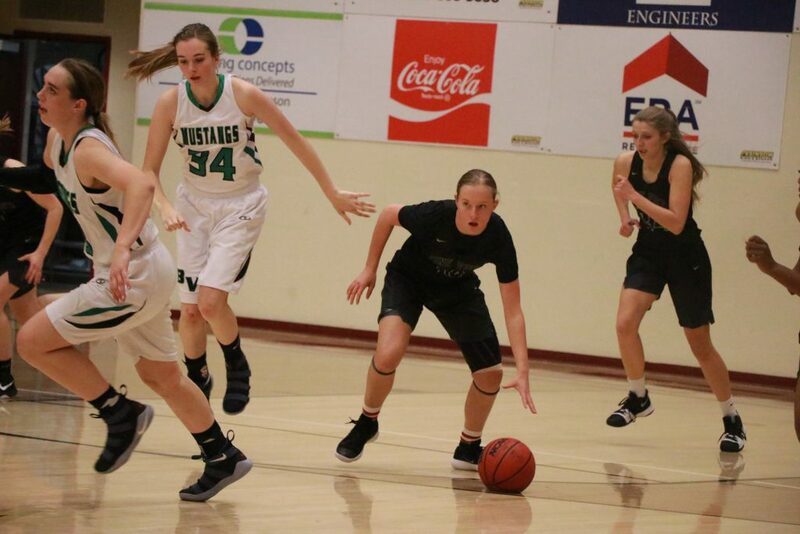 Two Region 9 teams, Pine View and Cedar, went undefeated during the tournament, winning their third game in as many days Saturday. 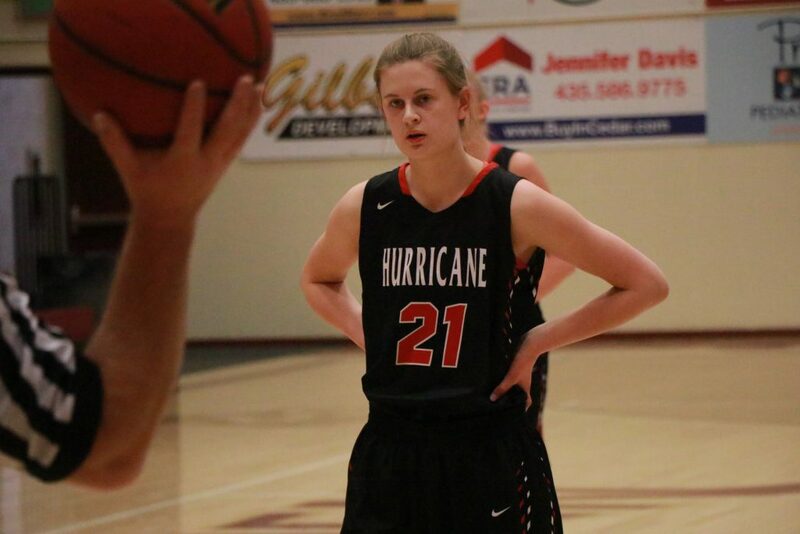 After winning its first two tournament games, Hurricane lost in a two-point heartbreaker to Stansbury on Saturday. Two other squads, Canyon View and Snow Canyon, won on Saturday after losing their first two tournament games. 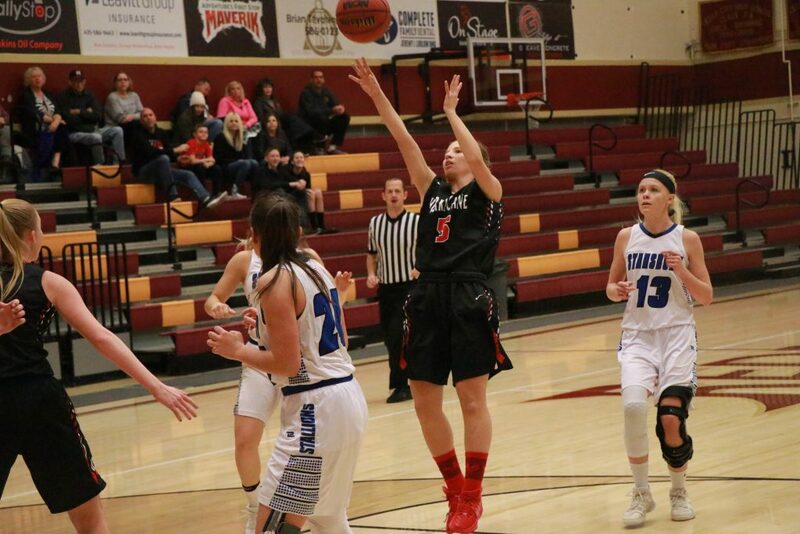 The Hurricane Lady Tigers led by five at halftime, but fell behind in the third period as Stansbury went on a 13-6 run to take a 32-30 lead heading into the fourth quarter. 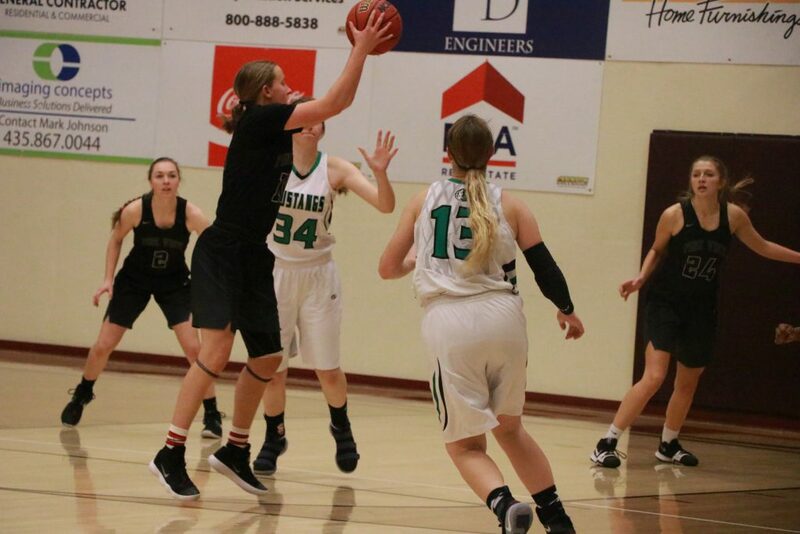 After Stansbury hit a free throw with six seconds left in the game to give the Lady Stallions a 49-47 lead, Hurricane’s Alexa Christensen took the ball the length of the floor for a layup at the buzzer, but the shot came up short. Stansbury attempted 29 free throws during the contest, making 21 of them, while Hurricane shot just 13 foul shots, making eight. Christensen led all scorers with 14 points, including eight in the first quarter. Madi Hirschi and Jayden Langford each added 11 points. Stansbury was led by Taylor Hinds and Kenzi Knudsen, who each had 12 points. “It was a good tournament for us. Our girls played well all three days,” coach Homer added. The Lady Reds came out strong in the first quarter to build a double-digit lead that it would never relinquish. Carley Lewis, who led all scorers with 13 points, scored two quick baskets in the opening two minutes to give Cedar an early 4-0 lead. Sophomore guard Japrix Weaver, who finished with 12 points, drained a 3-pointer near the end of the first quarter to put Cedar up 20-9. 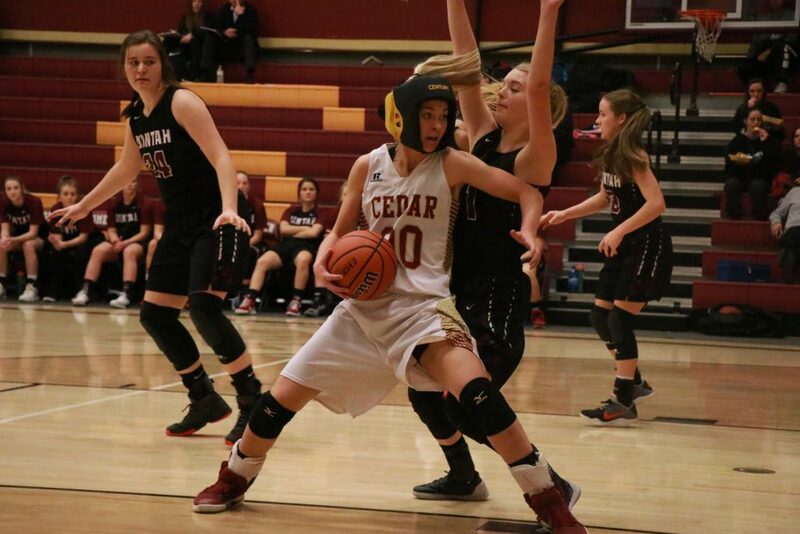 Both teams hit a dry spell early in the second quarter, but Cedar guard Logann Laws scored all nine of her points that period to keep her team comfortably ahead. The Lady Reds led 35-18 at the half and 50-28 after three quarters. Uintah poured in 23 points in the final quarter, but could get no closer than the 64-51 final margin. 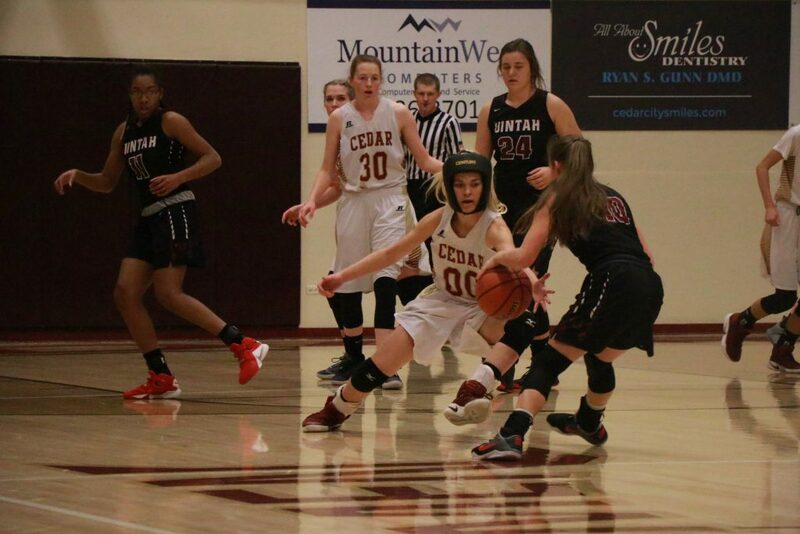 Adding to Cedar’s balanced scoring attack were Brooke Shoop, who scored 11, and Dream Weaver, who had eight points. Center Bailee Fielding pulled down 11 rebounds, and Laws added five assists and four steals. Nielsen said the Lady Reds’ one drawback was committing too many fouls. Uintah was paced by Taylee Elison and Madi Foster, who scored 10 points apiece. In a foul-ridden contest, the Panthers held off the scrappy Bryce Valley Mustangs from the 1A classification. The Mustangs’ originally scheduled opponent for Saturday was Snow Canyon, but the Pine View and Snow Canyon coaches mutually agreed to swap places on their schedules in order to enable Pine View players, coaches, and fans to attend the morning funeral of Kolei Maile, an assistant coach with Pine View’s football team, who died on Christmas Day. Both teams got off to a slow start, with Pine View taking a 9-6 lead at the end of the first quarter. Early in the second period, Bryce Valley guard Madison Syrett went down with an injury to her knee and didn’t return to the game. Pine View led 21-12 at the half and managed to keep a double-digit lead for much of the second half, eventually winning 45-23. “They finished well, and I’m very proud of them,” Brinagh added. 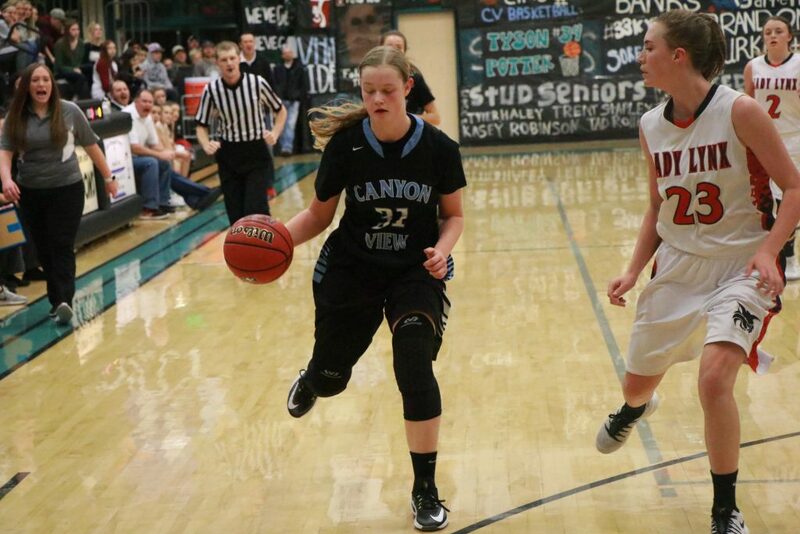 Pine View was led by guard Claire Newby’s 13 points, while Saraven Allen added 9 and Dawn Mead contributed 8. 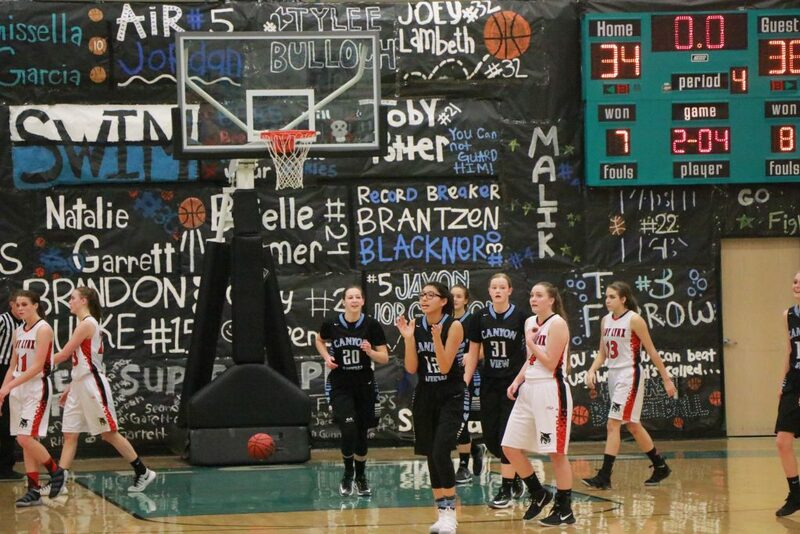 Pine View converted 18 of 29 free throws, while Bryce Valley made 9 of 14. Freshman guard Brooklyn Syrett led the Lady Mustangs with 11 points. 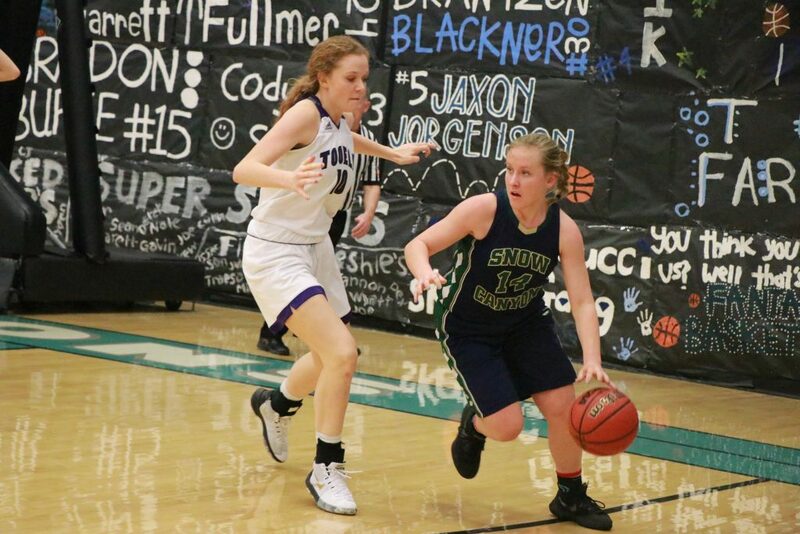 The third time was the charm for Snow Canyon as the Lady Warriors picked up a win over the Tooele Lady Buffaloes Saturday morning. Both teams got off to a sluggish start, with Snow Canyon leading 5-2 at the end of the first period and 12-6 at the half. Rarick said at halftime he challenged the team to double its first-half output in the third quarter alone. The Lady Warriors responded by scoring 18 points in the third quarter to build a 30-19 lead heading into the fourth quarter. The Lady Warriors were paced by sophomore guards Tylei Jensen and Hallie Redmund, who scored nine points apiece. Rarick also singled out the clutch play of senior Alivia Hinton as being another key to the victory. “Livvy scored some key baskets for us today, and was all over the place defensively as well,” he said. 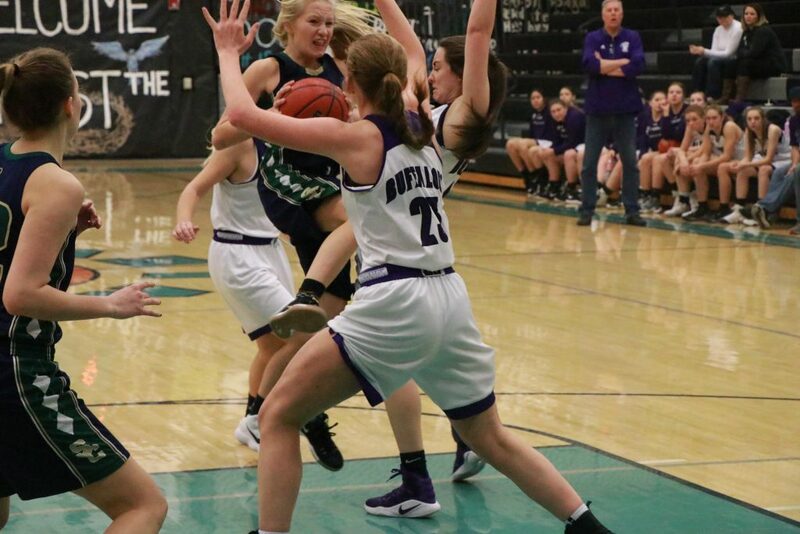 With just under three minutes to play, Canyon View held a slim 33-32 lead over Lincoln, but the Lady Falcons managed to hit key baskets down the stretch while limiting the Lady Lynx’s scoring opportunities. Canyon View had trailed 7-4 at the end of the first quarter, but came back to take a 16-14 halftime lead. That lead evaporated in the third quarter as the Lynx went on a 13-6 run that forced the Lady Falcons to come back yet again. “It was ugly, but we got the win, and that’s all that matters as we head into next week’s region games,” said Canyon View head coach Jaycee Slack-Barnhurst. 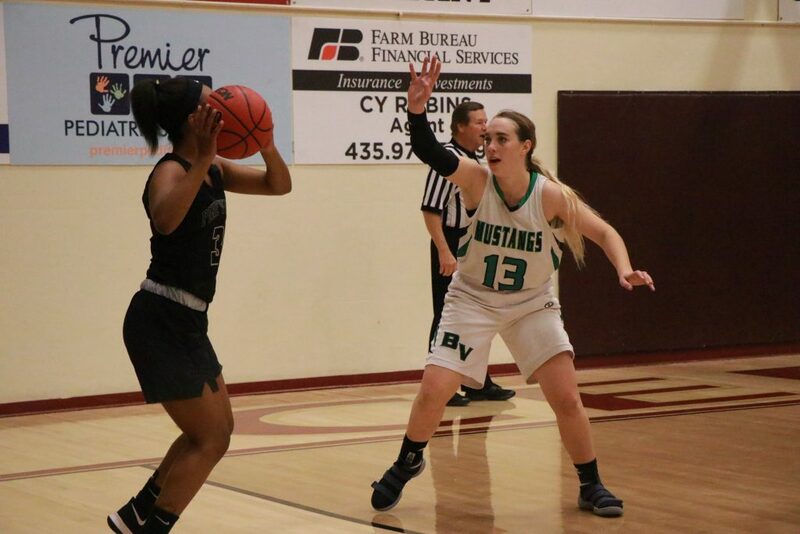 Senior forward Cristal Elias led Canyon View with 10 points, while Shelbi Nicoll and Addy Newman each added 8. In the final two days of the Gator Classic invitational in Las Vegas, the Dixie High Lady Flyers went 1-1 in the Gold bracket, after winning two of three games in pool play. Friday, Dixie lost to Moapa Valley of Overton, Nevada, 38-31. The score was tied at 10-10 after one quarter, but Moapa went on a 10-0 run in the second period and stayed ahead the remainder of the game. Saturday, Dixie bounced back to defeat Fullerton, California, by a score of 44-30. Joslyn Bundy led the Lady Flyers with 19 points against Fullerton. “It was the girls’ fifth game in four days, and they pushed through the fatigue to beat a good team who shot well,” said Dixie assistant coach Katie Woods, who called the tournament a “fantastic preparation” for the team’s upcoming regular season.